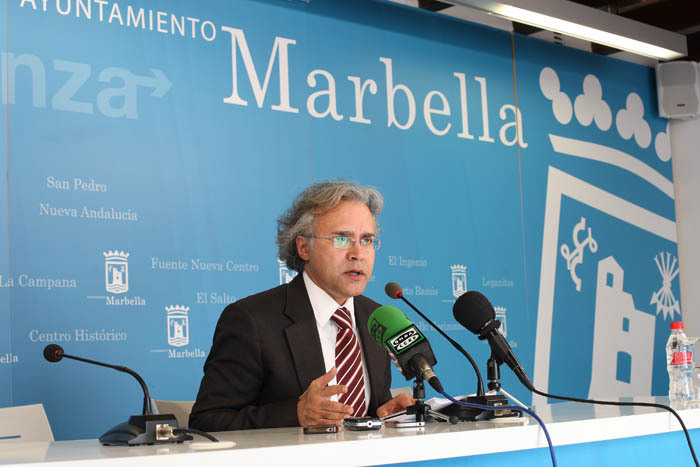 The number of tourists in Marbella has grown by 6 percent and 8 percent overnight stays in 2013, revealed the councillor of tourism, José Luis Hernández. Hernandez highlighted the growth in all international markets and there has been an increase in the numbers of several nationalities. 6% more the Belgians, 7% of the British, 8% of Germans, 10% of the Nordic countries, 12% of the Arabs, to 50% of more Russians have visited Marbella during 2013. He also highlighted that the high season has been extended, starting from late March until late November, "when in previous years it began to slack off in October”. In addition, the tourism market in previous years was divided equally between domestic and international market, however this year Marbella had 75 percent of foreigners and only 25 percent of Spanish tourists. Furthermore, in 2013 Marbella has taken the first steps towards the Chinese market, a tourism "that is destined to be very important to our city," said Hernandez, who has revealed that some contacts were made in the last edition of Fitur. The mayor highlighted contacts with Morocco and Georgia, stressing that Marbella "is a city that has the ability to maintain relations with countries at government level." Marbella has been present in various international fairs such as the World Travel Market in London , ITB Berlin and ATM in Dubai. The Zagaleta Forum, the Starlite Festival and the Global Gift Gala with Eva Longoria have been other highlights of 2013, together with Marbella 4 Days Walking, which brought 3,000 people in the city in September.